Two weeks after announcing its previous round of low-band LTE upgrades, T-Mobile has confirmed another batch of upgrades. 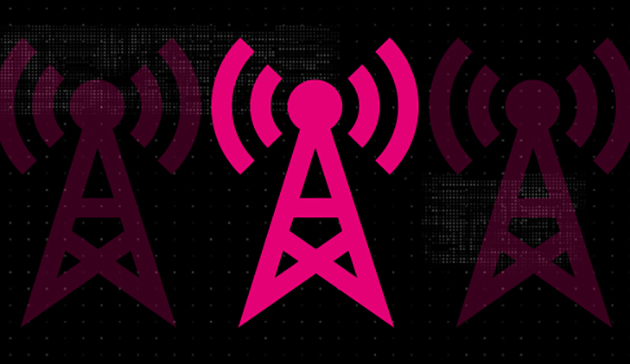 T-Mobile added low-band LTE to dozens of cell sites in the past two weeks, CTO Neville Ray confirmed today. These upgrades typically include both 600MHz and 700MHz spectrum (LTE bands 71 and 12), and Ray says that they’ll result in more and better coverage. These latest low-band LTE upgrades are spread across the U.S., including in cities like Portland, OR; Jacksonville, FL; Lowell, MA; Austin, TX; and Ely, MN. As usual, we’ve got the full list of cities and towns that received low-band LTE upgrades below. I remember they added their first coverage of the area around a couple of years ago with mid-band. Good to see they’re expanding coverage with low-band. The main problem with T-Mobile is they are just shoring up coverage in areas that they already cover well. They don’t seem to be expanding or upgrading coverage in areas that they are very weak or non-existent, and I’m not talking locations in the middle of nowhere, I’m talking suburban areas just outside cities. They went from no native coverage in WV, MT, WY just 2 years ago to covering them quite nicely today. What exactly are you expecting? That’s just not true… They are filling in holes in existing coverage and expanding coverage into nearby cities and towns. A lot of areas are getting low-band (bands 12 and/or 71) for the first time with band 71 deployment which provides them with a huge jump in coverage and reliability. I’ll believe it when I see it. My area continues to be neglected by T-Maybe. Even Sprint works better. Home of Laura Ingalls Wilder Museum, Little House On The Prairie. Guess they are getting modern amenities! For real. WPXX stopped broadcasting on 51 last week so hopefully soon. Someone in an area with little to no coverage vows not to use the service. Check out the Sensorly, CellMapper, and OpenSignal maps (all can be found in the Play Store). They’re created using user data so they’re often incomplete but they’ll give you a more accurate picture of coverage than carrier generated maps where coverage information is available. Just remember that with these maps, just because coverage isn’t mapped in an area, doesn’t mean that no coverage exists in that area. Nah, I don’t use third rate carriers anymore. I use Verizon.